/ Don’t put off today! Today is the best day to start training in MMA, Jiu Jitsu, Boxing, Muay Thai, or Judo! You found a school you want to try out and you inquired about their classes, but then you feel nervous about coming in for your first class. This happens to everyone. It even happened to me when I first started training. You start making excuses like “well I don’t know if everyone will be overly aggressive”, or “I’m not in shape”, and everything else in between. Don’t let negative thoughts impact your life! Trust me the hard part is over all you have to do is show up and have fun. If you ask anyone at Scranton MMA if they wish they started training earlier, they will all say YES! Don’t waste another day, week, month, or year to start your MMA/Martial arts journey! We can’t go back to yesterday but we can control today. Make today your day to start and become the person you wish to be. The best time to start is NOW, so come by Scranton MMA and see what you have been missing! Trust me there is no need to be nervous. Plenty of people have been in the exact same spot that you are and after coming in and seeing how friendly everyone is they realize there is no need to be nervous. 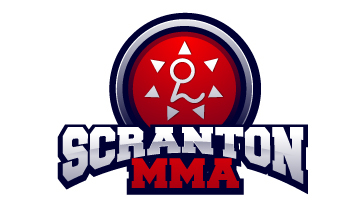 So relax and get ready to have a great time at Scranton MMA!